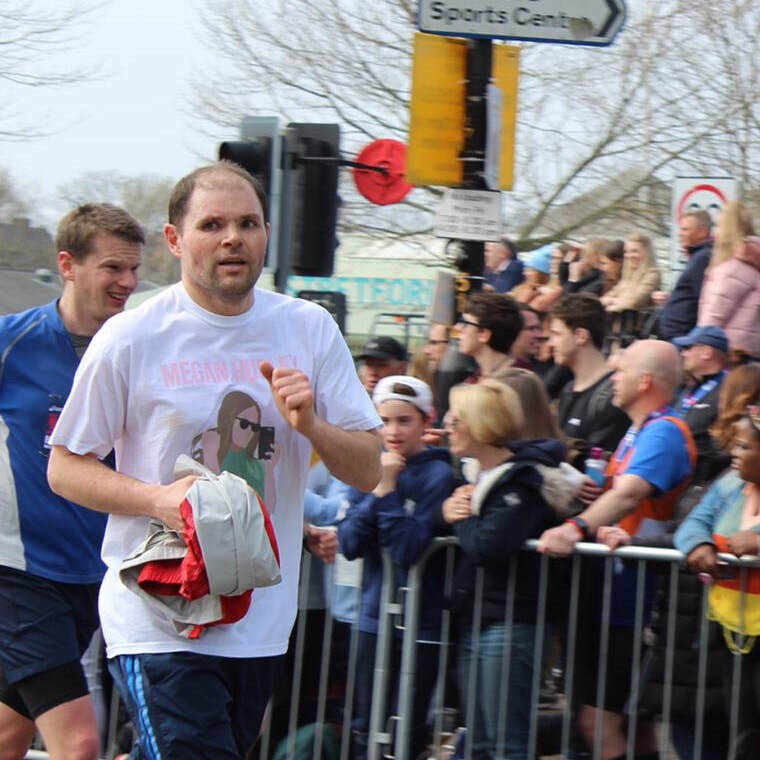 Andy Mackenzie, known by many at Halewood Academy, Megan's school, as Mr. Mackenzie began training to run the Greater Manchester Marathon in October 2018. 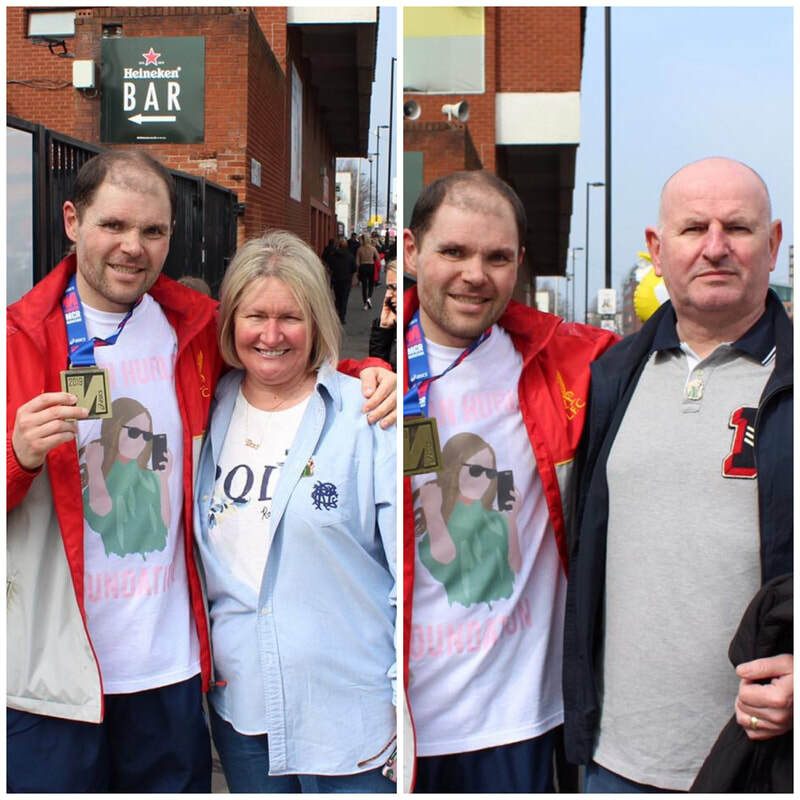 He completed it on Sunday, April 7th 2019 in an incredible 4 hours 27 minutes with Megan's parents Michael & Joanne cheering him over the finish line. Andy has raised a staggering amount of money for our charity and we cannot thank him enough for his incredible achievement & amazing fundraising. Around 20,000 runners took to the streets to take part in the Greater Manchester Marathon 2019. Runners started at the White City roundabout and made their way around the 26.2 mile course which finishes at the Emirates Old Trafford stadium. "Hardest thing I'll ever do in my life. Calves went at what I thought was mile 22, my Nike app suggested it was 26.85. I walked the next three miles and managed to jog the last 1.2. A 30 mile course essentially. My official time was 4:27:28. Pure torture. So proud to speak to Megan's parents after the race, as you can imagine I was an emotional wreck. ❤ First pint in 100 days." Andy will be awarded his very own 'Megan Hurley pin' for taking part in fundraising for our charity. To find out how you can get involved by starting your own fundraising & have the chance to get your very own 'Megan Hurley pin' then please click here.